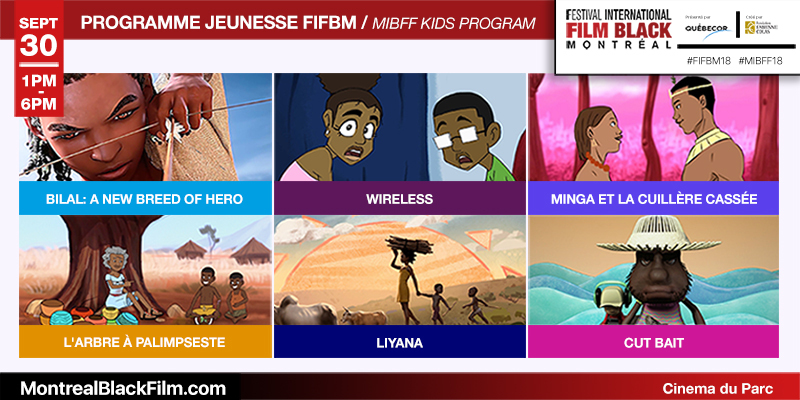 The Montreal International Black Film Festival (MIBFF), created by the Fabienne Colas Foundation and presented by Quebecor, is thrilled to be introducing the MIBFF Kids Program! MIBFF Kids Program wants to inspire and empower children through the discovery of filmmaking, animation, story-telling and more. The Festival wants to offer kids a cool environment where they can learn, be creative and express themselves in a fun way while being exposed to black history and black stories. $12 Adult | $6 Kids (12 years and under). Proof of age may be requested on site.